Update: WARNING. Mute your computer. The article opens on a page with a LOUD advertisement. “If you left a surface-to-air missile lying around in a scrapyard in Florida, then some people would like a word with you. Interesting article at the STRANGE HORIZONS site: Spirits, Art, and the Fourth Dimension, by Bryan Clair. The younger younger guy is out visiting from Boston for ten days or so. Yesterday we drove over to Santa Cruz to meet up with the older younger guy and his partner, have lunch and visit the family matriarch. The older younger guy’s partner went back to work after lunch and the three of us decided to kill the time between then and when the matriarch expected us by hanging out at LOGOS Books. For the last week or two, since his nibs and I returned from a short four-day trip up-coast to visit with an old friend and explore, I’ve been making a stab at sorting through the tens of thousands of books on shelves and in boxes (lots and lots of boxes) to identify the duplicates and the not-wanted to donate to a library effort. In the last couple weeks with a couple full days’ effort and some partial-day exercises, I’ve managed to shift all the crime fiction onto shelves (about eight bookcases worth, sorted by author and by title within the author) and to start getting the travel books organized. (roughly sorted by continent and country, natch). The travel books include not only books we bought while traveling but also books we bought new and used in stores and a good number of older books that his nibs’ great-great aunt Burta purchased in her day. I’ve sorted out five bookcases of travel books and have at least another two cases to go before even starting on the United States travel-related books. Yes, as expected, I had multiple copies of Chandlers and Christies in the crime fiction collection, multiple copies of JD MacDonalds and Karin Slaughters. I found I was missing Q and R from my run of Graftons (said lack since remedied). What I had not expected were multiple copies of Lowell Thomas titles and multiple copies of “glimpses of Europe” sorts of titles in the travel collection. Along the way I discovered that some books had been masquerading as travel but were actually garden titles or history titles or geology titles. Yesterday at the LOGOS bookstore. I was poking through the crime fiction, the children’s books, the “how to draw” art books, the gardening books. There in the gardening books was this old book that, when I pulled it from the shelf, looked very much like a book that I’d sorted out of the travel books late last week because it was more a garden book, not a travel book per se. 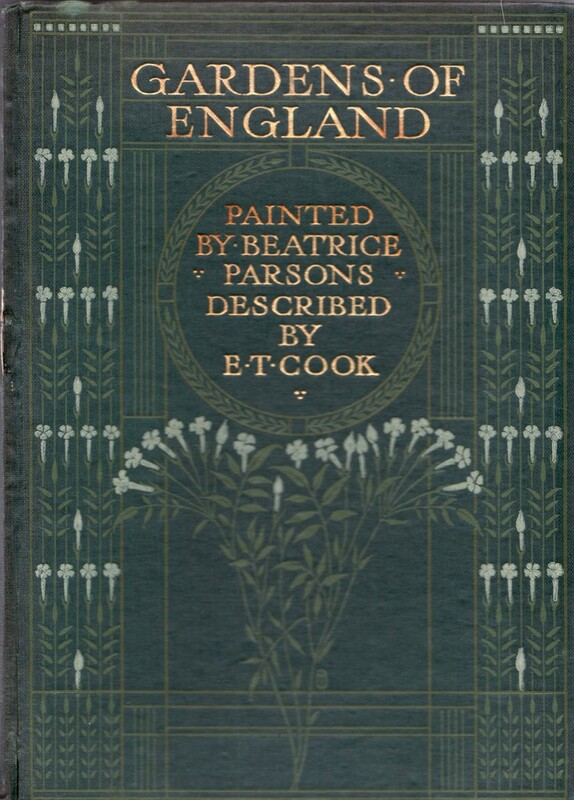 The book I’d come across last week, with illustrations painted by Beatrice Parsons, was titled something like Old-World Gardens and had pictures and descriptions of European gardens. I looked at the LOGOS book in my hand. Interesting, I thought. How much?  … the tell-tale spore of Burta — her initials (MBB) handwritten in pencil on the front free-endpaper. I probably wouldn’t have bought the book otherwise, but how could I resist? I will reunite it on a shelf with its old pal when I start sorting through the gardening titles. It took until I was driving back to San Francisco to realize just how one of MBB’s books had wound up in a used bookstore in Santa Cruz. His nibs’ father’s twin brother had lived in Aptos, where the older younger guy currently lives. We hadn’t realized he’d had any, but Uncle Burt must have had at least this one of Burta’s old books. One of uncle Burt’s children must have sold the book or given it away to someone who sold the book to LOGOS. Thank goodness I thought of a reasonable explanation for how the book wound up seventy-five miles away from San Francisco in a town that Burta, who so far as we knew, had never visited. Very spooky it was to pick up a book in a used bookstore in Santa Cruz and see her scribbled initials. 5:33 Press conference ends and site tour begins (assume minimum 20 minute press conference. Note that Schwarzenegger, Newsom, and Dellums all talk and these are politicians talking. 5:48 Tour of site ends (assume 15 minutes). Yet the photos clearly show it’s still pitch black during the entire press conference and site tour, i.e. much earlier than the hypothetical timeline above. How could Schwarzenegger have arrived at the site any earlier? The answer is that the he knew what was planned. Except, of course, that Gavin’d been down in San Diego at the state Democratic gathering and had to handle things at that end, get a briefing, make statements, give a speech and then return home. The photographs of the scene that included Gavin and Schwarzenegger were taken during the tour that took place the evening of 4/29. “G-A-Y” is spelled “429″ on a standard American telephone. The attacks occurred only 8.5 miles from the notorious Castro Street homosexual district. COINCIDENCE? ’nuff said. Has to be a spoof. Or some very dim bulbs. Derren Brown on subliminal advertising. I’d never heard of Derren Brown until tonight. I just went back to see how I’d fallen into this Derren Brown universe. My original heads up was from a post on AdRants. We’ve had a couple shakes recently including a 4.4 off the coast in far north California, along the Mendocino fault. I thought I felt another one. So I clicked on my handydandy USGS map and nada. I pulled up the larger look and … What’s that over there in Nevada? A 4.1? Followed by a flurry of aftershocks? Those are good shakes for an area where nothing ever happens, in an area where the nearest fault (the Furnace Creek Fault) is twenty-five miles or so away. His nibs looked over my shoulder. “How close is that to Area 51?” he asked. … or the Tonopah Test Range, for that matter. Pull up the earthquake-Nevada map side by side with the Area 51 map. Line them up. See what I see? Those earthquakes (a 4.1, 3.2, 2.9, 2.6 &c., all clocking in at approximately 4 miles underground) are clustered off Hwy 95 between Goldfield and Scotty’s Junction. Close enough to spit on the end of the Nellis Air Force Range in Nye County, NV. Art Bell and George Noory need a headsup, wouldn’t you say?